We're tied to a sequential time sequence, it's the only way evolution can work - otherwise everything happens at once. But every now and then the process falters and we look through a chink at, I suppose, the eternity religions speak of. When this happens, it's such a startling experience that you hanker after it, when you're back in the world of sequence. Classical music's raison d'être is not to provide an amenable sequential soundtrack for suburban breakfasts; rather it is to, however briefly, open the chink through which we can see eternity. There is a growing awareness of the mental and physical benefits of stepping outside sequential time sequences and glimpsing the ineffable. Classical music is ideally positioned to exploit that awareness. But first it must overcome its obsession with short term - as measured in linear time - audience gains. * An overview of the Tibetan Buddhist Kalachakra empowerment states that 'Time, in Buddhism, is defined as a measurement of change'. I am very fortunate to be travelling to the remote region of Ladakh on the border of India and Tibet in a few weeks to witness the Kalachakra empowerment by the Dalai Lama. The title of this post is taken from Helena Norberg Hodge's classic book Ancient Futures: Learning from Ladakh, which depicts how an ancient Eastern culture can be a source of inspiration for our contemporary Western society. 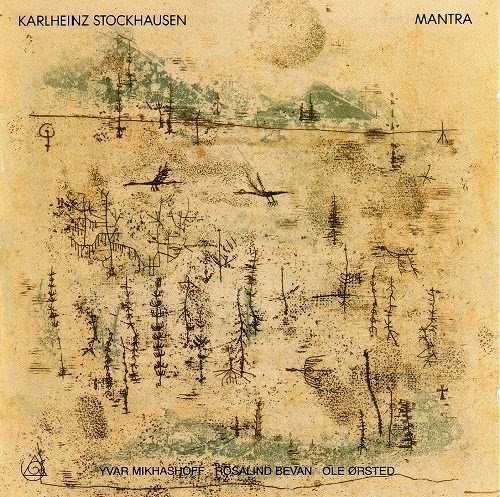 Header image is recording of Stockhausen's Mantra by Yvar Mikashoff and Rosalind Bevan on piano, with Ole Ørsted controlling electronics. Any copyrighted material is included as "fair use", for the purpose of critical analysis only, and will be removed at the request of copyright owner(s).Also on Facebook and Twitter.